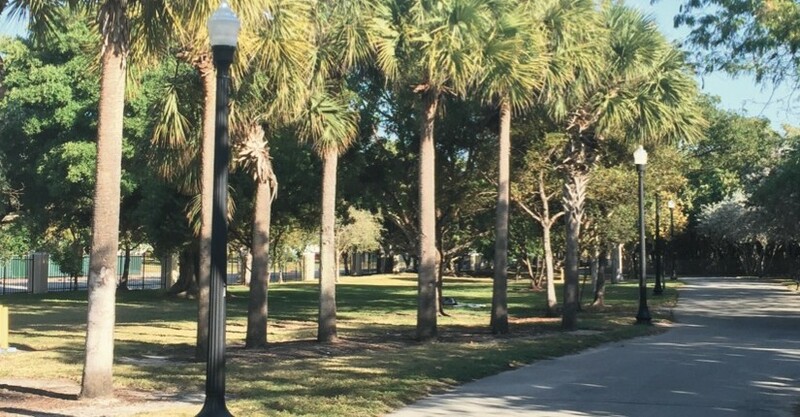 Miami Beach Commissioners split 4-3 this week in favor of renaming the North Shore Open Space Park to North Beach Oceanside Park. But that's not the final word. The public still gets to weigh in. Located from 79th to 87th Streets on Collins Avenue, the park is about to undergo a major renovation. A revamping of the name is a topic that has been batted around for a while and, although the Parks and Rec Advisory Board supported a name change earlier this year, the Commission’s Neighborhood and Community Affairs Committee sent it to the Commission without a recommendation. City Parks Director John Rebar told Commissioners the “number one” name suggested was North Beach Oceanside Park, though he said there was still debate over using North Beach or North Shore, the same issue that cause the Neighborhoods Committee to forward without a recommendation and the one that divided the Commission at its meeting this week. Rebar said there is commonality among the Parks Board with referencing the beach or oceanside in the name. Other names suggested include North Shore Oceanfront Park, North Shore Beachfront Park, and North Shore Beach Park. Historically, Commissioner Joy Malakoff said, “It used to be South Shore and North Shore. Over the years, everybody refers to it as South Beach.” Malakoff supported using North Beach in the name, though she preferred North Beach Ocean Park, as it was a bit shorter. Three Commissioners voted against the change: Commissioners Kristen Rosen-Gonzalez, Michael Grieco, and Micky Steinberg. Steinberg suggested if the name was to change that there be a plaque that tells the history of the North Shore Park as an homage to its past. After kicking around ocean, oceanside, oceanfront, the four members voting in favor – Joy Malakoff, John Alemán, Ricky Arriola, and Mayor Philip Levine – settled on North Beach Oceanside Park. The vote starts the formal renaming process which involves a public hearing. So… if you want to weigh in, that will be your chance. We’ll keep you posted!